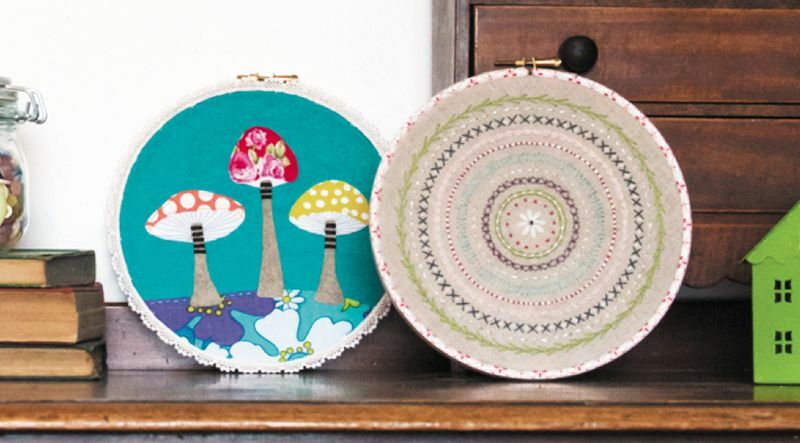 Hoop-La, 100 Things to Do With Embroidery Hoops by Kirsty Neale is brimming with inspiring and creative uses for the humble embroidery hoop. Who would have thought that a plain wooden hoop can be transformed into so many different works of art? Kristy Neale presents 100 unique and clever ways to incorporate an embroidery hoop into your next project. Hoop-La has a helpful section on hoop treatments which shows you how to finish your hoop. Options include: wood stained, yarn wrapped, crocheted, collaged paper, braids and trims. Hoop projects use a variety of techniques including: patchwork, crochet, stencilling, applique, embroidery and more. The projects are not just wall art – they include: chalkboard, keyrack, dress up dolls, pockets, clock, photo album and more. The projects and modern, fresh, and on trend. The photographs are beautifully styled. Templates are included in the back of the book and need to be enlarged 200%. 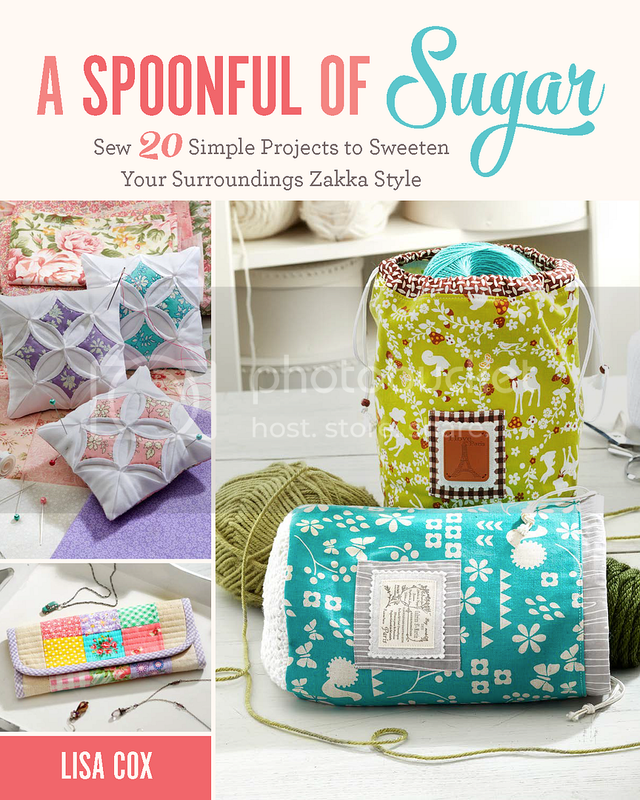 Hoop-la is a great addition to your craft library and is recommended for anyone who enjoys making small projects to decorate their home or give as original gifts. You can find a preview of the book here (with more photos). Hoop-La is available from Booktoopia and Can Do Books. I came across this book on the weekend and quickly added it to my wish list – but now you’ve made me want it now! I just saw that book at our local book store. what fun ideas it has.